10th leading cause of death in U.S. adults. 3rd leading cause among U.S. adolescents. More than 34,000 individuals take their own life each year. More women attempt suicide each year then men. Men are four times more likely to die by suicide then women. The highest risk for suicide is people under 24 or over 65 years old. If you know someone who needs help and is in an emergency call 911 immediately. I have learned so much about the benefits psychiatric service dogs provide for those struggling with mental health problems from The Lola Project. 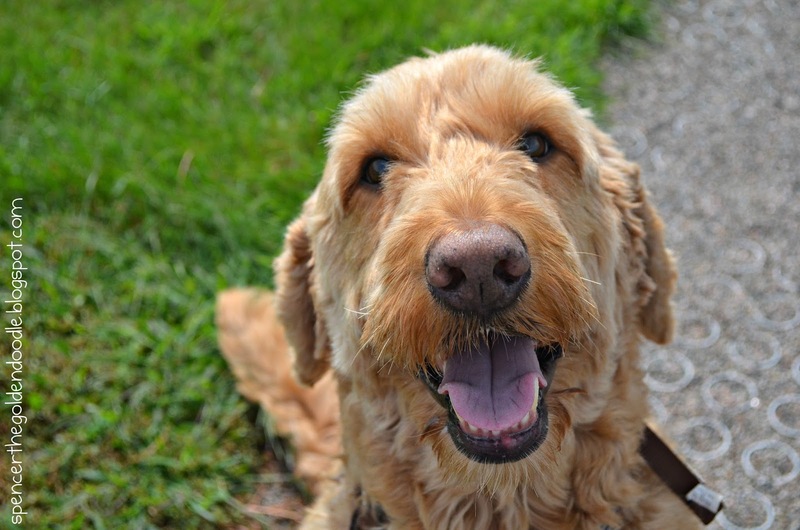 While medications are the main course of treatment, more and more of my furry companions are being trained to support and help those with mental health disorders. If you are interested in learning more about mental illness and/or psychiatric service dogs I encourage you to visit The Lola Project. They are great at answering any question you may have on this topic. They also sell these bandanas you see in the pictures, if you are interested in one simply message them. I love these bandanas I got from The Lola Project. 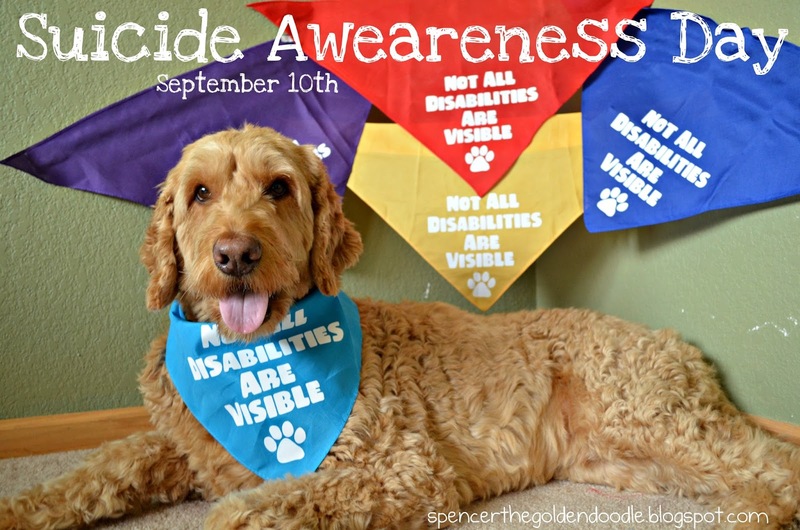 They are a great reminder that not everyone’s disabilities is visible. Someone may be smiling on the outside but hurting on the inside. I’m giving two of these bandanas away in a giveaway! 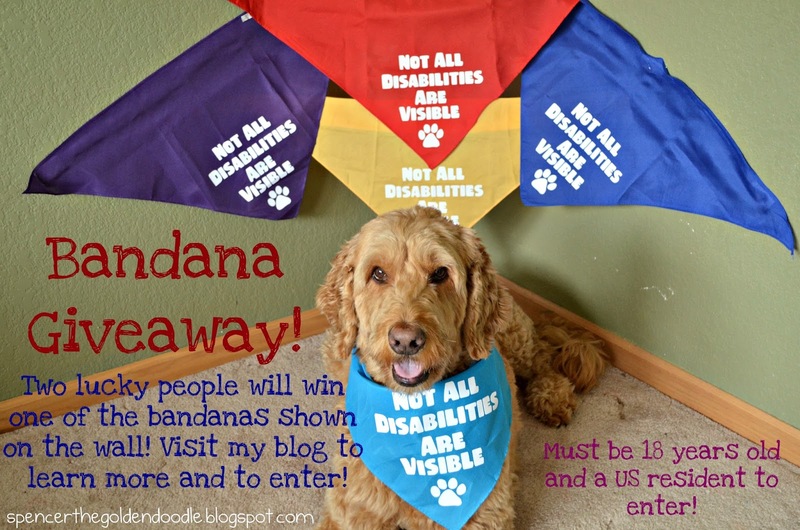 Enter for your chance to win one of the bandanas you see on the wall. There will be two winners. Simply be a US resident who is 18 years of age and enter the rafflecopter below! Contest goes until 9/16/15 at midnight. Over the last two year this blog has grown in more way then I thought were possible. 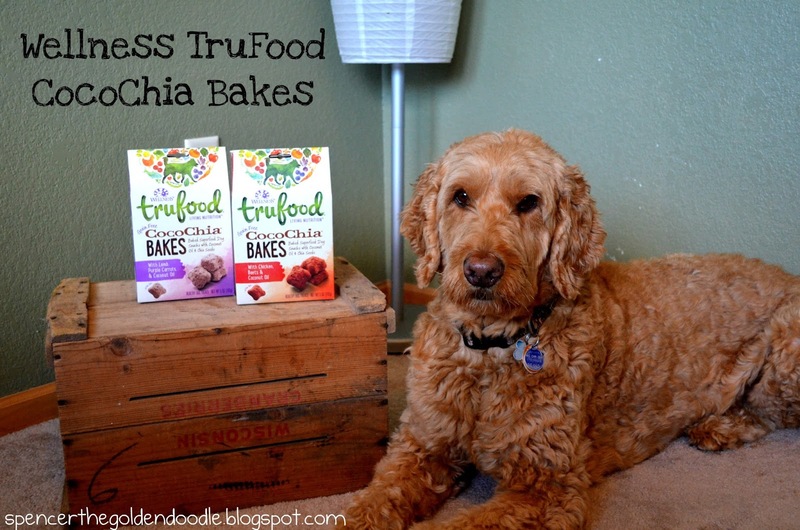 I started this blog to have more time with my humans. Little did I know that this blog would turn into a breeding ground of adventure, information, and fun. 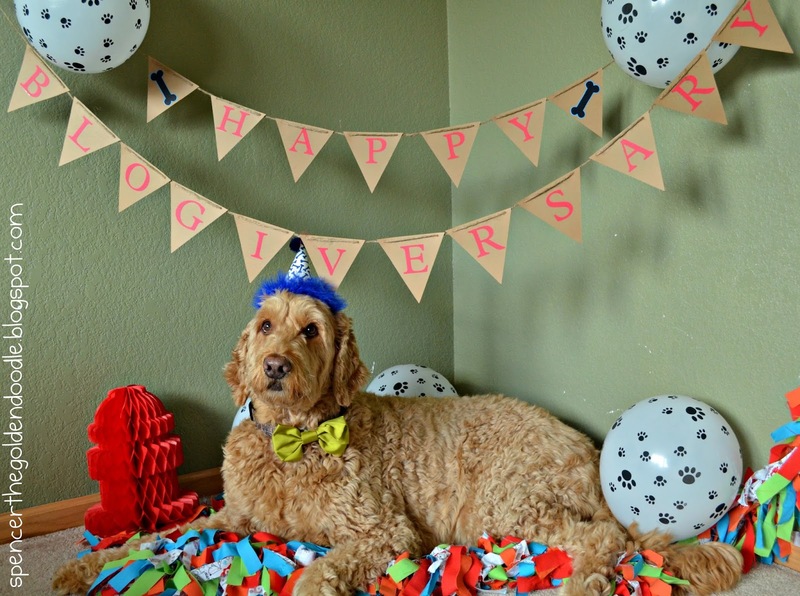 1 – Ticket and Hotel purchased to attend the 2016 BlogPaws Conference in Arizona. 2 – Number of Pet Expos I’ve attended. 7 – Halloween contests I’ve attended in our local town. 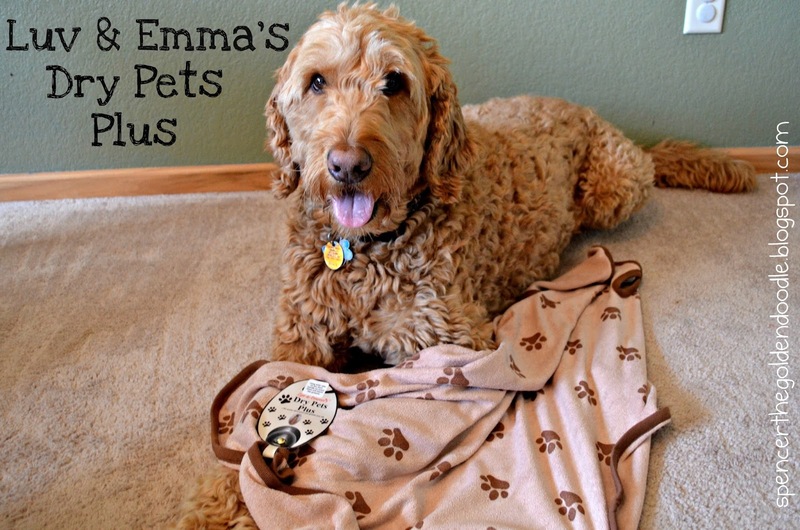 $500 – Money/Products I’ve raised since starting my blog and was able to give back to shelters/rescue organizations. 1,000+ – Fur-iends I have met while starting this blog. I want to take this time and thank each and everyone of my followers. Your kindness, encouragement, and support has meant the world to me. 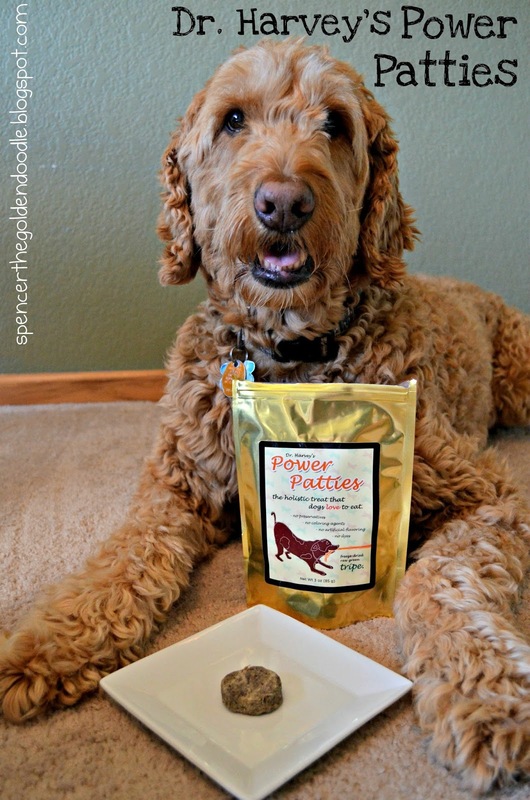 Don’t forget to join the Picture Paw-ty! Right now we have about 15 pet participating. If you would like to join click on this LINK for the details. Tuesday, September 8th at midnight is the cut off to enter. And remember one lucky photo will be randomly selected and will win a prize!!! 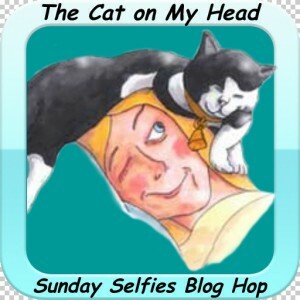 Today I’m joining the Monday Mischief Pet Blog Hop. 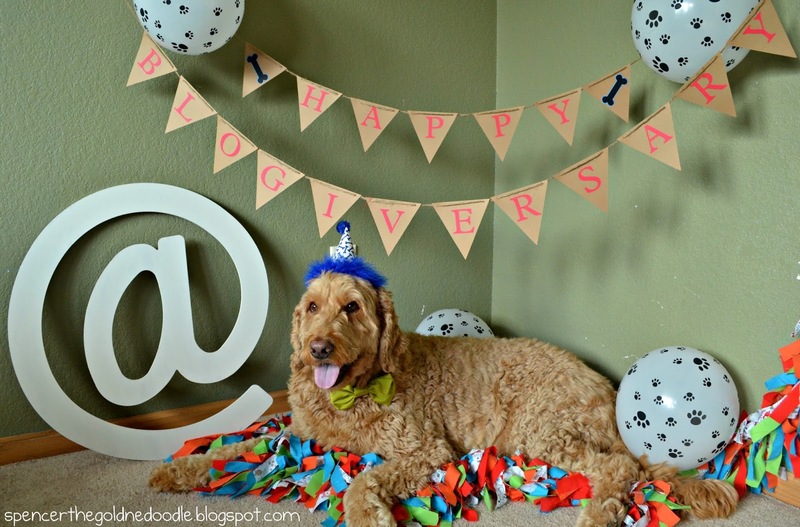 Tomorrow is my official 2nd Blogiversary, but why wait until tomorrow when we can kicking it off today! 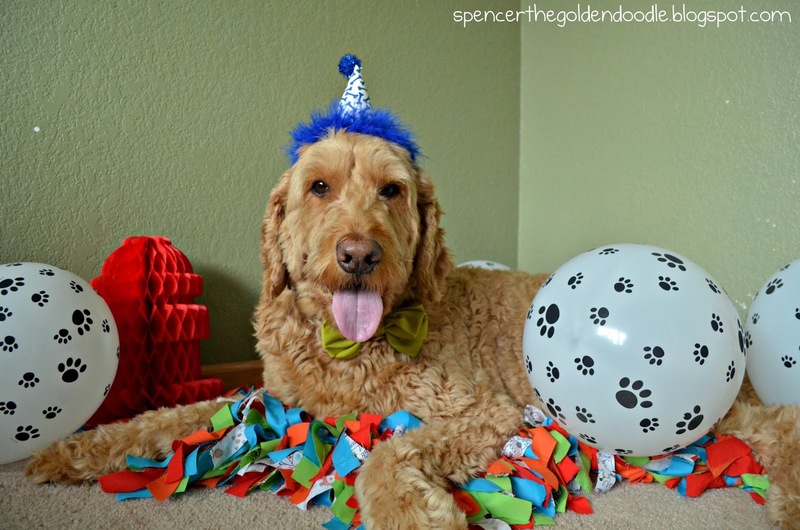 RSVP: Email (spencerthegoldendoodle@gmail.com) me a picture of you pet(s) with their name, age and breed. Include “Paw-ty” in the subject line. I will be sharing those pictures on my blog. 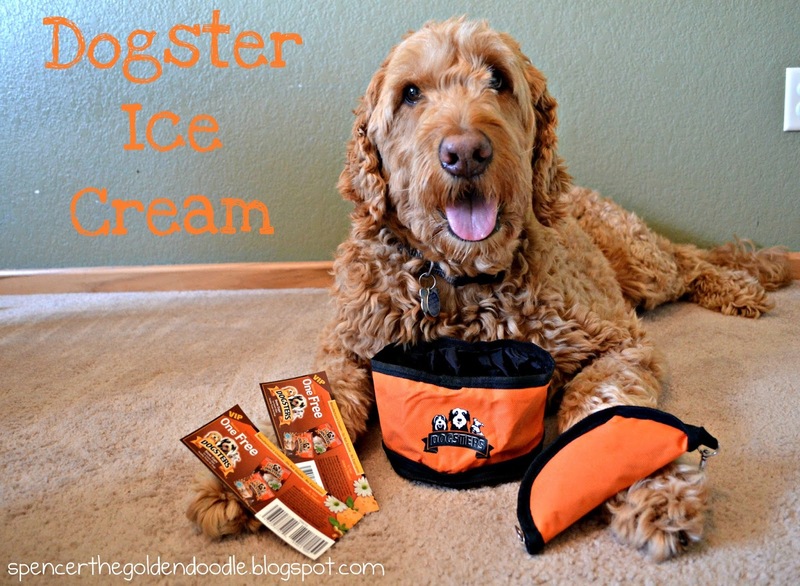 If you have a pet blog or pet website include you URL and I will link you picture. Prize: One picture will be randomly selected! More TBA! 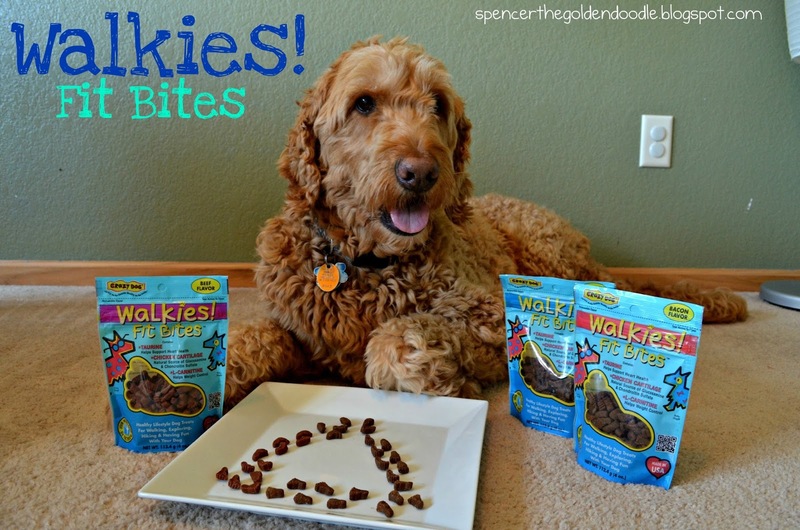 By sending your picture you are giving Spencer the Goldendoodle’s blog permission to share them on the blog and/or any of Spencer the Goldendoodle’s social media sites. Only pictures of animals will be share. Please do not send picture with humans in them, they will not be added to the Picture Paw-ty and will no qualify for the prize. Only one picture per animal. This contest/prize is open world wide to any human over the age of 18 years. The order/placement of your picture will depend on the order when RSVP was received. 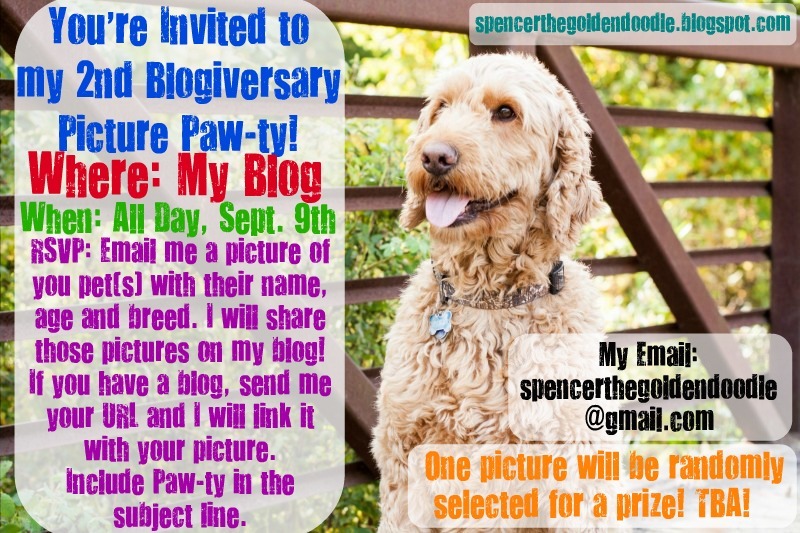 Please feel free to invite others to my Paw-ty as well as the the Paw-ty post itself on Sept. 9th! This is all about having fun and thanking everyone, old and new, for all your fur-iendship, support, encouragement, and love! Today I’m joining the Monday Mischief Blog Hop!